Photo by Carlo Ponti Photography. The new year is fast approaching and, with it, the feelings of a fresh start, renovation, innovation, and some change. In the spirit of New Years and the need to adapt and stay up to date with current trends, we got in touch with a few office design experts to get a glimpse at how workspaces will look like in the near future. So, for you to get inspired, here are some of the office design trends awaiting 2016. 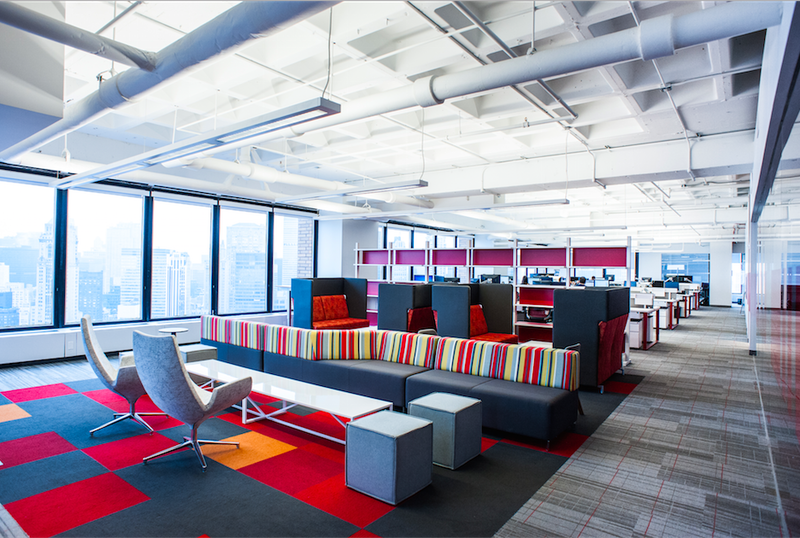 A cutting-edge provider of workspace furnishing solutions based in New York City. Workwell Partners provides full-service solutions from design, renderings, specification, project management, installation, and reconfiguration. Cubicles disappearing and its replacement (the bench) is being overtaken by non-assigned seating and height adjustable desks. Workspaces will be customizable and multi-purpose, almost entirely eliminating the need for dedicated workstations. Offices will feel more like college campuses with an open, sharing mentality. Photo by: Peter Russel. 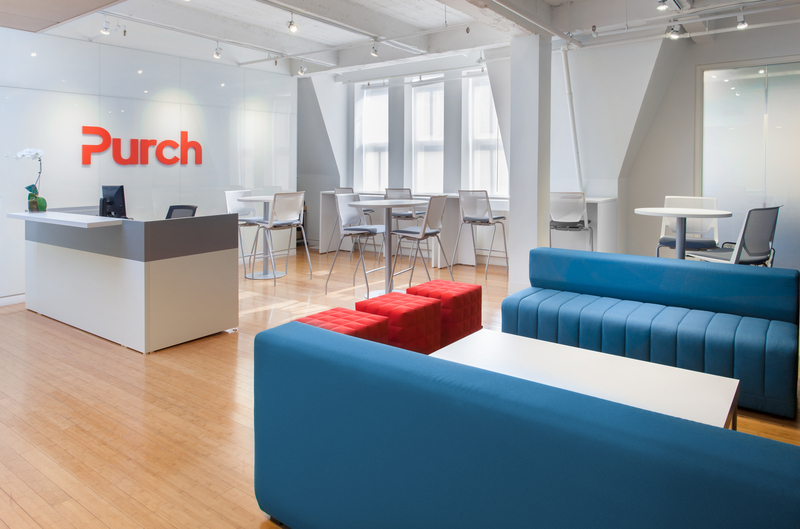 Workwell Partners reconfigured and refurbished a previously underutilized reception area for NYC-based media company Purch to now maximize the space for reception, conference meetings, brainstorm sessions, or a spot for employees to eat lunch and change up their workspace scenery. Design is going back to basics. Incorporating natural flora patterns in fabrics and artwork is becoming more prominent, along with plant life itself in the form of living walls. One of the bigger trends will be: bringing the home into the office. It’s the natural, cozy feeling that a lot of these finishes and details have that will continue to make this trend a popular one throughout 2016. Phot by Carlo Ponti Photography. Various stone, wood and even a fire element were brought into this office space for Atlas Holdings, designed by HLW International with furnishings solutions by Workwell Partners. The features bring a very cozy, homey element into the space. As a beautiful contrast to many office’s neutral decor, jewel tones can add a great pop of deep color to the space. One of the most notable aspects of this trend is the fact that Pantone, the standard in color trends, has named jewel toned colors their color of the year five times in the last nine years. The added feel of luxury of these saturated colors can make a space seem much more expensive that it actually was, something budget-friendly clients love. Photo by Carlo Ponti Photography. Rich colors incorporated through the furnishings and flooring at this office space for Return Path add contrast to the otherwise neutral decor. 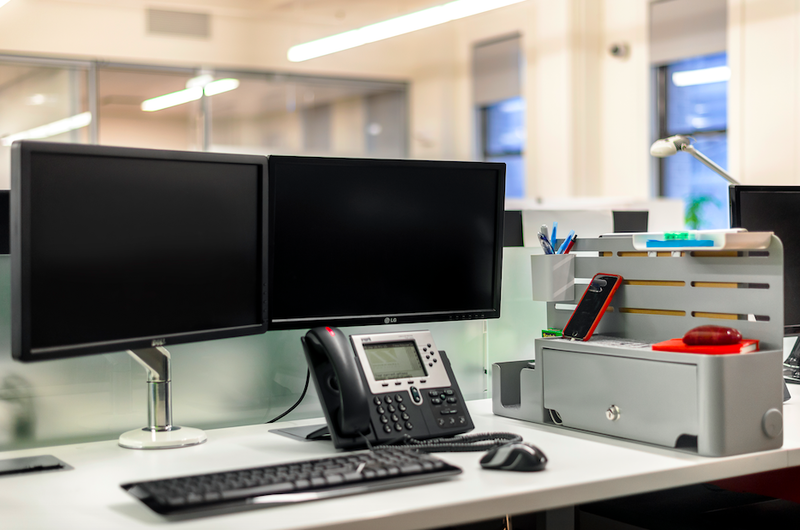 The evolution of the workplace to an open plan layout has opened a Pandora’s Box when it comes to workspace privacy, personalization of one’s desk, and device security. The proliferation of multiple devices (laptop, smartphone, tablet) has increased requirements for easy access electrical and USB charging ports at the worksurface, along with a way to store these devices. We predict more companies will opt for products that safely secure and charge their mobile devices or other desktop clutter. Photo by Slyde Charging Solutions. The Divyde Charging Station 2.0 offers a secure, compact and customizable desktop organizing solution, boasting four USB ports, two power receptacles and a key or combination lock, which allows employees to simultaneously charge and secure devices. Modworxx is a New York-based architectural millwork company with an expanding portfolio of work across the commercial and retail markets. Repurposing previously used materials and products and giving them new life is one of the most popular trends in millwork for 2016. Utilizing materials like wood found in old factories and barns and creating stand-out accent walls and architectural features is a cool touch to more modern spaces. Photo by Carlo Ponti Photography. 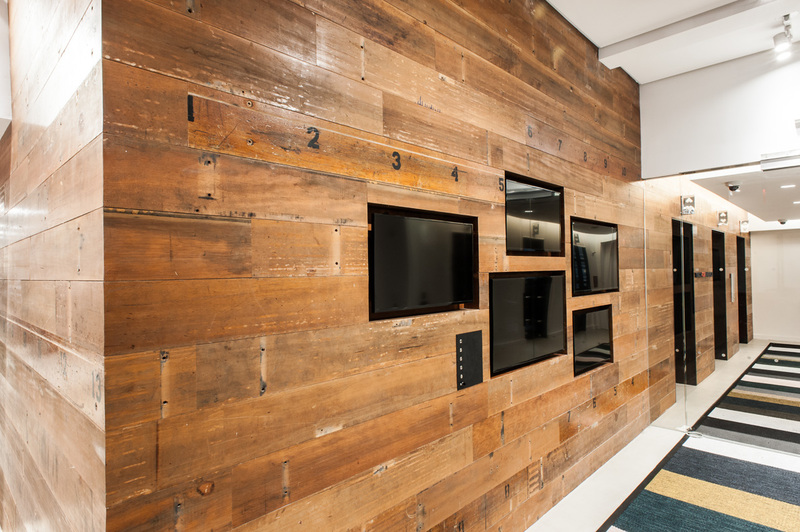 The team at Modworxx installed refurbished wood bleachers from schools around the country to create a media wall at Teach For America’s New York City Headquarters. 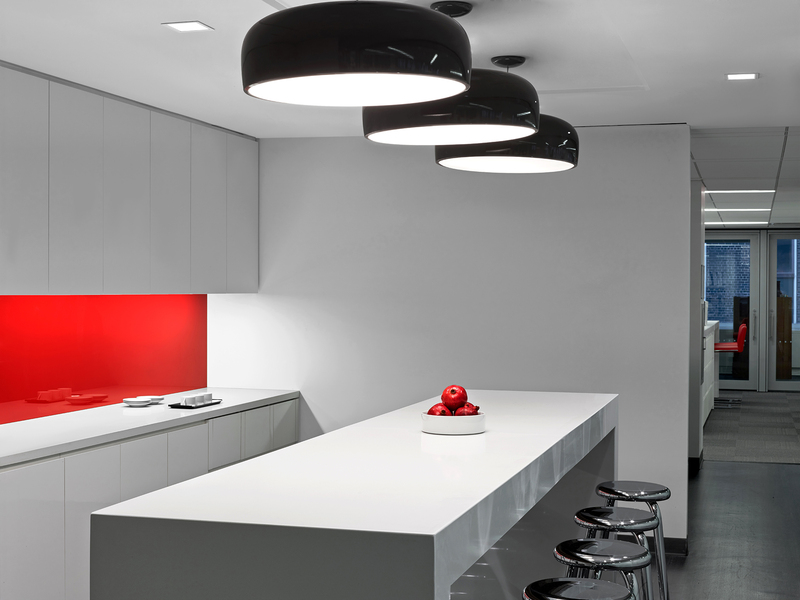 One of the most specified and installed interior colors is the clean and crisp white family. This is a trend often seen as early in the process as a designer’s project vision. This trend can be seen in more than just commercial spaces with Benjamin Moore voting “Simply White” as their 2016 Color of the Year – spurring inspiration in offices and homes alike. Stay tuned, more trends to come. 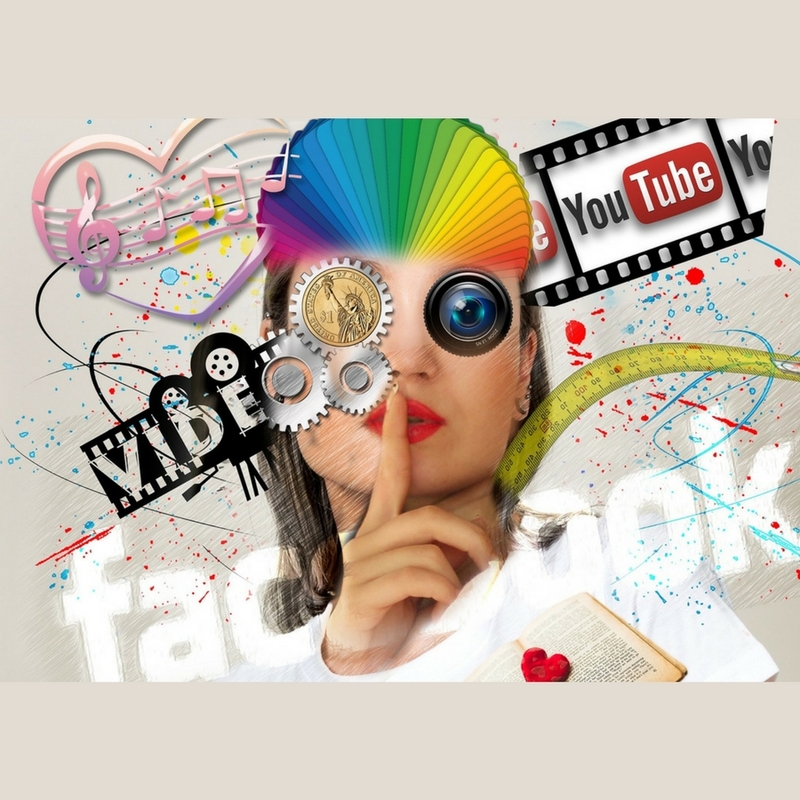 Jane Erasmus, Sales & Marketing Director at UBC UK, shares everything you should know about social media to market your workspace successfully. 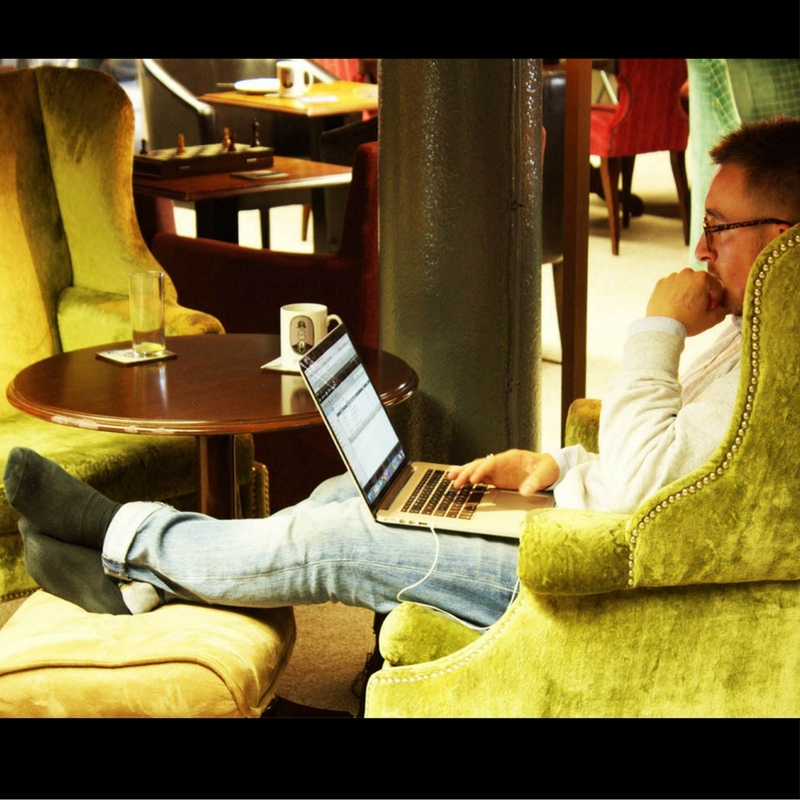 Ziferblat brings a refreshing and new operational model to the workspace as a service industry. It’s like a blend of coworking and home-officing. Really. 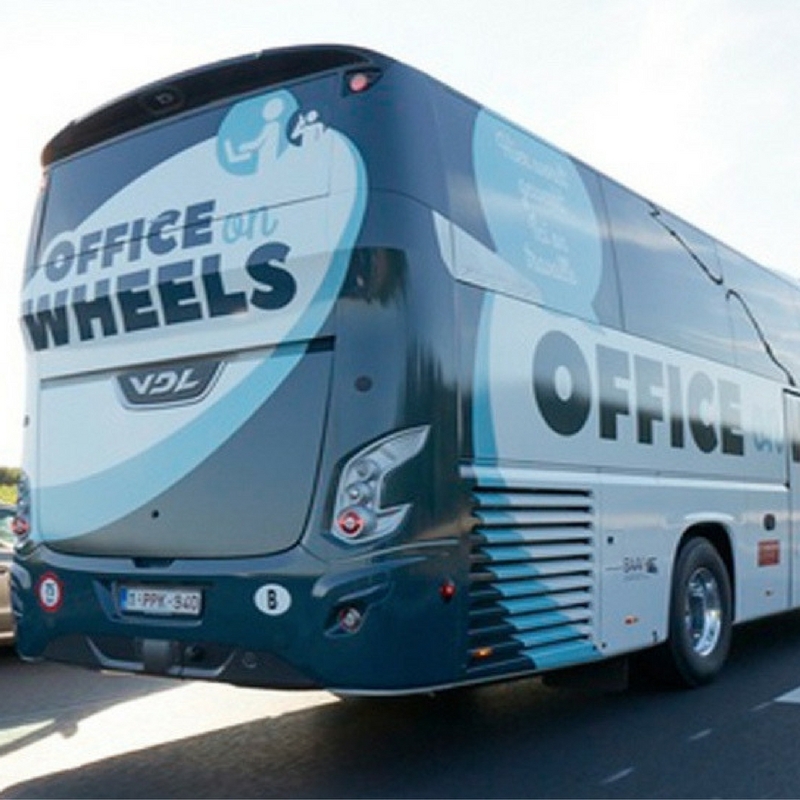 Office on Wheels, the Flanders Institute for Mobility latest project, aims to turn buses into workspace for commuting workers. A new era of mobile working.